In today’s society, the concern for kid’s online behavior is rising. More information is available than ever before, and at the simple touch of a button, your kids can be exposed to numerous risks; cyberbullying, online predators, exposure to inappropriate content, and potentially worse. As a parent, it’s scary trying to navigate the ever-changing landscape that is the online world. However, it’s crucial to your kid’s safety that you keep the lines of communication open and continue to learn more about the things that your kids have access to. Practical, actionable advice for doing so can often be hard to come by, so keep reading for some useful tips on keeping your kids safe online. When it comes to online safety for kids, it is crucial to address the impact that social media sites have. There are several positive effects that social media can have on a child. It can strengthen awareness within a community, aid in connecting with loved ones and friends, and help students stay abreast of what’s going on in society. However, when kids interact with social media platforms like Twitter, Facebook, Snapchat and Instagram, they can be completely exposed to inappropriate, hurtful or possibly dangerous content. It’s imperative that your child knows they can go to you with their problems and that you will listen when they need help. When your kids feel like they can confide in you in times of question or concern, they will be more likely to come to you about any problems they might be facing, online or in real-life. Instruct your child to come straight to you when they see anything that makes them uncomfortable, and assure them that you won’t overreact, place blame, or immediately rescind their online privileges. Sadly, this is a very real, very sad type of clinical depression. Researchers say that when looking at a happy event happening in someone else’s life, kids with poor self-esteem have the propensity to feel even worse. If you see this feeling starting to surface, be sure to explain to your child that social media is not a true reflection of a person’s everyday life, but the perception that they want you to see. Another way to ensure your child’s online safety is to talk with them before setting up and logging onto his or her computer. Setting basic rules for Internet access can go a long way toward building a nurturing online environment in your home. Decide how much you’re comfortable with your children being online, and which of the sites they are, and are not allowed going to. You can post a list of these sites next to the computer so there are no questions about where they are allowed going- and make consequences for not following the guidelines. Some parents have their children sign contracts promising to practice online safety. The Family Online Safety Institute offers a template for this on its website, but you can find them elsewhere, or even create your own to fit your family. The lines you draw are up to you; the important thing is for you and your kids to know exactly what they are. Some families set a rule that the kids can’t play online until all their homework is done. Other families limit computer time to one hour a day. It’s completely up to you to figure out what works for your family. Start the conversation about the public nature of the internet early on with your kids. 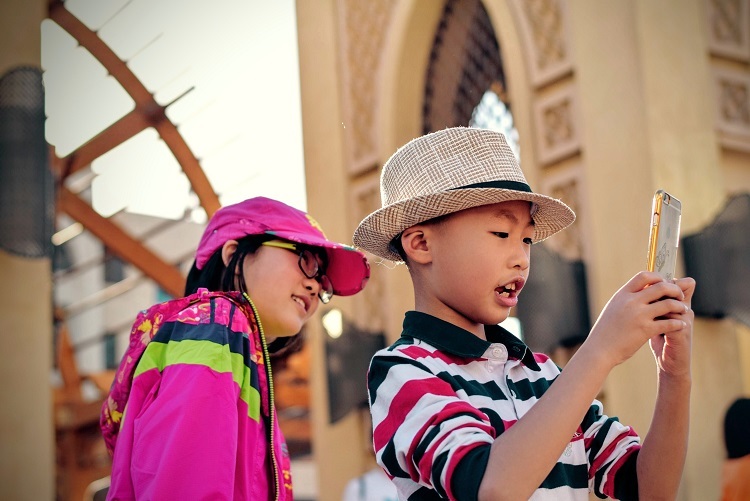 Learn about and teach your kids how to use privacy and security settings on their favorite online games, apps and platforms. Pay attention to and know the online environments your children use. In the real world, there are good and bad neighborhoods, and the online world is no different. Help them to identify safe and trusted websites and apps. Encourage them to be cautious about clicking on, downloading, posting and uploading content. Setting an internet schedule, or a window of time when your child has internet access, is another great option for keeping your child safe online. Similar to blocking websites and keywords, you can set up access times through your router or internet service provider’s security app. With an internet schedule, your child will only be able to browse the internet during designated times. Don’t Just Tell Them the Rules, Work with Them. Modern technology is an ever-evolving beast. Often you will have to make sure you continue to educate yourself. 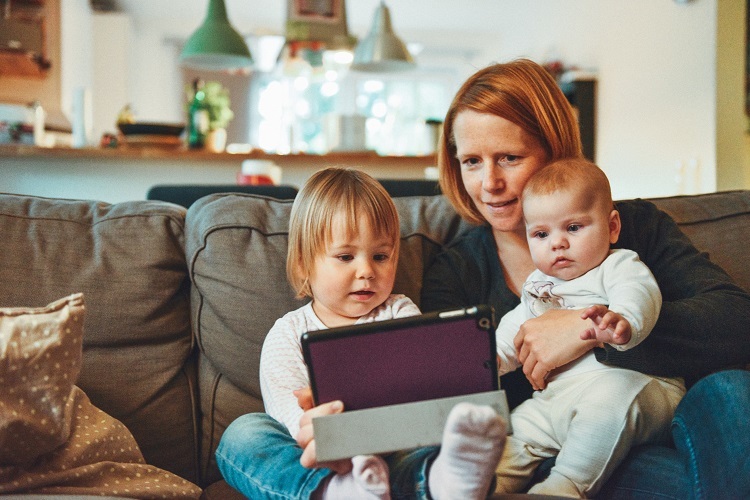 Children tend to imitate the behavior of their parents, so make an effort to practice what you preach when it comes to online safety and security. Follow your child on their social media accounts. This not only does it allows you to monitor what they share, but it allows you to present them with a good example of what is appropriate social media behavior, and perhaps improve your bond with them. If your child sees that you are having fun AND being safe, they will more easily follow in your footsteps. Get them involved with maintaining the security of the home computer. Teach them how to check that the virus protection is up to date. For older children, give them some responsibility regarding internet security, and reward them for it. It’s a large world. When your kids were babies and toddlers, you might have always been there, and if you weren’t. you left them in the care of a responsible adult. However, as your kids grow, you’ll need to hold their hand less and less often. This can be absolutely nerve-wracking. So, here are a few ways that you can ensure they stay safe as they grow. There’s never a good substitution for supervision and knowing everything that happens in the life of your kids, but as they get older, they get more independent and they’ll need to be aware of their own instincts when it comes to what’s safe and what isn’t. They’ll also need the confidence to follow those instincts. That said, the typical teen’s brain is geared for being influenced by their peers, and this allows them to override that inner voice that tells them things like drugs are wrong when all of the other kids are doing them. If this happens, you might end up needing to check out some drug detox programs to help get them straight again. Assist your kids with the development of good judgment as well as social intelligence so that they’ll be able to resist that social pressure allure when they come across it. Face it. The online world can be a nasty place. Between explicit content, malware, predators, and other bad things, parents can easily find themselves facing a never-ending cycle of horridness as they try to fend off every negative thing their kids might find online. It can be a tricky situation to find yourself in and a bit hard to know even where to begin. There are kid-friendly browsers, parental blocking software, antivirus software, and the ever present temptation to simply ban the internet, but when it comes to internet safety, the most important step is to have a frank conversation and an open line of communication with your kids. When you first let them begin using public transportation, go with them. Once they’ve gotten a bit used to it, let them travel alone but stay near them. Then they’ll be ready to go with a friend. Role play with them. They need to know what to do if they become separated from their friend. They need to know what to do if someone happens to pull a knife in their vicinity. They need to know what to do in the event of a mugging. It happens. What if their phone falls onto the tracks of the subway? What if they’re being stared at by a guy who just gives them the creeps? Get them a phone and have them call you once they board and get off public transportation. That said, make sure they don’t otherwise use it while they’re on board because it might make them a target. Talk to your kids. Listen to them. This will keep you connected and make them feel safe. Make sure to introduce topics that’ll assist them with thinking, reflecting, and developing good judgment. The day our kid is born is the happiest day of our lives and celebrating that day with love and vigour is every parent’s priority. 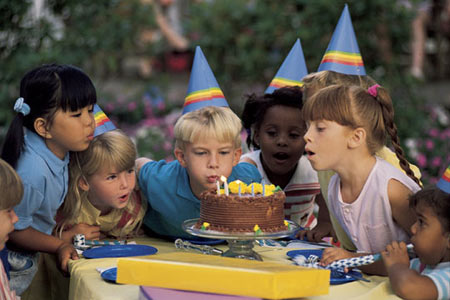 However, it is not an easy task to accomplish as a lot of preparation goes into making a birthday party a success. If you miss any little detail, it may play spoilsport on the fun of the festivities. Hence planning the event is always a great idea. You can start with making a to-do list of everything you have to do and then arrange the tasks in a logical and optimum order as per priority, whether it is getting birthday cakes for kids or finalising the decoration. To save you some time and energy, here is a ready-made to-do list to get you started with the birthday preparations. You can add or skips things from this to-do list as per your own ideas you have for the party. You can begin by selecting a venue for the birthday party. So, you will have to decide whether you want to party at a restaurant or diner or you prefer a private celebration at your home. Once you have finalised the venue, you can opt for an appropriate decoration. If you are celebrating at a restaurant, you can contact the people there to book tables in advance, brief them about the kind of decoration you need. If you are organising the party at home, you can base the decoration and the entire event on a theme that will excite the kids. Doing so will not only keep the kids interested but will also add a youthful and fun vibe to the proceedings. The birthday cake takes the centre stage in an event like a birthday party, hence getting it perfect is very important. As its the kid’s birthday you are planning for, so a custom cake based on themes popular amongst the kids such as cartoons, superheroes, games, dolls etc. will be an apt choice. You can either bake the cake at home or order it online and get it delivered wherever you want. The latter will surely save you from the hassle. You kid is every bit special and means the world to you hence the gift you choose should be equally special and meaningful. Gifts which encourage them to be more observant, creative and improve their analytical and cognitive skills should be preferred. A binocular, a walkie talkie, a zigsaw puzzle, monopoly, books, etc. are some of the gifts you can consider. You can also consider gifting him a family trip to his or her favourite destination as it will help you bond with your little bundle of joy. Preparing the guest list is very important as it gives you an idea about the number of attendees and their age group. As it is your kid’s birthday, so other kids will also be a part of the guest list apart from their parents and your own friends and family. You will have to make arrangements keeping the guest list in mind. Last but not least, you have to finalise the food menu for the guests. It should include things which the kids love as they are going to be a significant portion of the guest list. If you are not too confident of your own culinary skills, you can contact a good caterer and get it sorted. Make sure you do that well in advance to avoid any last minute hiccups. With all these items checked off your to-do list, you can surely breath easy and be confident of having a rocking birthday party for your adorable kid. Are You Teaching your Kids the Wrong Things About Money? Life would be a lot easier if the teachers in your child’s school taught them about budgeting, taxes and even forms of credit, instead of focusing on the lessons they never needed to learn. 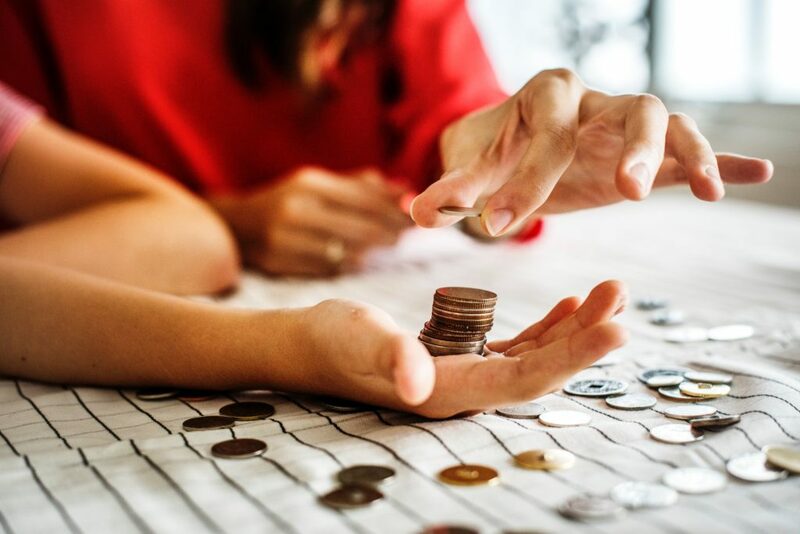 Unfortunately, financial classes still aren’t a part of the curriculum, and that means that parents and guardians are the ones left to make sure that their children know how to manage their cash. 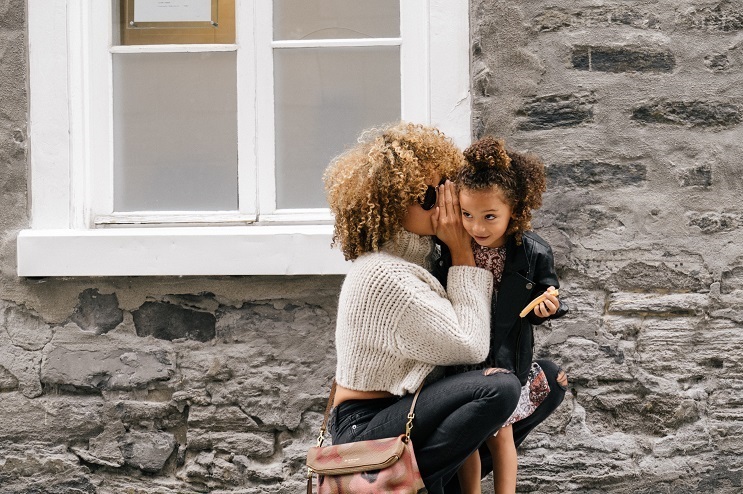 The sometimes-shocking truth is that even if you think that you’re not teaching your children anything about money, you’re probably having an impact that you haven’t noticed. Every time you ignore a bill or pay with something you can’t afford using a credit card, your kids are learning from your behavior. Are you teaching them the right lessons? Do you give your children a weekly allowance? If so, there’s probably been a few times when they’ve spent all of their money immediately, then regretted it as soon as their friend has invited to them to the movies or asked them to do something that costs money. While it’s tempting to give your kids everything they want, it’s also not great to teach them that if they make a mistake with their money, someone else will come along and give them more. Instead, let them mull over the decisions that they’ve made and learn from their mistakes – no matter how tough it is. If every time you receive a bill in the post, you throw it somewhere else, or let it sit around until the last minute, your kids are going to have a hard time understanding why you can’t just blow off paying for your car insurance one month and buy them a toy instead. Make an effort to show your children that you’re committed to paying crucial expenses on time every month. You can even sit them down with you while you go through the budget so that they can see just how many crucial costs you have to deal with. That way, they’re more likely to understand when you tell them that you don’t have any money left for treats. Ideally, if you and your spouse live together, you’ll split the living expenses between you, so that you both have some cash left over to spend on yourself. However, if you end up spending all of your cash straight away and start asking your spouse to buy you the things that you want instead, your kids will learn that they just need to get someone else to pay for what they want too. By being responsible with your own money, you teach your children that they’re in charge of their own financial security. This will lead to greater independence in the future. Do you frequently turn to your credit card when you don’t have enough money left over? If so, this is teaching your children that they can still get whatever they want whenever they want it, as long as they have a card handy. Your children don’t understand that you’re going to need to pay more money for the convenience of using your credit card later. If your children are too young to understand how things like banking and credit cards work, then it’s best to avoid using credit cards in front of them. If they are old enough to understand, try showing them how your credit card bills add up at the end of the month, and why it’s not a good idea to rely on them for all of your expenses. If you’re always reluctant to talk about cash in front of your children, then how can they understand how important it is? 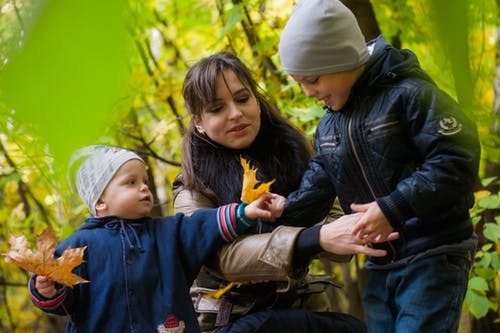 While it’s difficult to discuss something as complicated as cash with younger children, it’s a good idea to keep them in the loop as much as you can. The more open you are about money, your expenses, and how much cash you have to spend each month, the easier it will be for them to understand why you need to shop around for the best prices, and why it’s so important to save for the future. Finally, while treating your kids to a last-minute candy bar can seem like a good idea at times, it also teaches them that spending doesn’t have to be planned. Instead, show your children why you can afford to get them that treat. Perhaps you saved a little extra on an item that was on special. That way, your children will see how everything adds up. Regardless of the struggles that she goes through, every woman will tell you that having her child was the best experience of her life. The same woman will also tell you that there were some challenges to face when expecting a baby, especially when it was time for delivery. Here are 5 of the toughest challenges you face when expecting a baby. Unlike every movie with a pregnancy, your water might not break all at once and splatter all over the floor. It is apt to be more like a slow, uncontrollable urination. Your water might not break. Your doctor might have to break the amniotic sac at the time of delivery. Just because your water breaks does not mean that you have to immediately rush to the hospital for instant delivery; another Hollywood misconception. Many women describe delivery like pushing a watermelon through something the size of a lemon. For some delivery is extremely challenging, but most agree that contractions are the very worst of the pain. It might be an exaggeration to say that contractions are like menstrual cramps times one hundred, but it gives you a pretty good picture of what to expect. Contractions are an important part of your body’s final preparations for delivery. The timing of contractions will help you know whether or not you are in false labor or what stage of true labor you are in. To understand more explore these tips on how to time contractions. It is quite common for women to experience nausea and even vomit during labor. The myriad of hormonal changes that your body is going through during the labor and delivery process is the cause of this and it is something for which you should be prepared. Being able to recover from it and focus on breathing and other instructions is important, so try not to allow this to distract you. The cutting of the perineum or episiotomy is a common practice that many doctors use to help provide more space for delivery. Some women do not feel it due to adrenaline or a powerful epidural, but they will probably be very aware of the stitching and itching that will follow, mostly because that part occurs after delivery when you want everyone to leave you alone and let you be with your new baby. Another challenge you face after delivery is delivering the placenta. This is not nearly as challenging as delivering your baby, but it is another task that needs to be performed after you think it’s all over. Some women have absolutely no problem pushing it right out, but it can be a challenge for others. There are plenty of challenges to go through during pregnancy and some of the toughest come around delivery time. As difficult as these challenges are, going through them is what allows you to bring a new life into the world. Do not be worried about these challenges, but be prepared to face them with the expectation of holding your new baby in your arms.